Man. This site is dedicated to the notion that music is like a good vintage wine. There's never enough of it. And like so, this music -- America's art for is too. the test of time Like being stuck in a kind of '50s Nirvana when big jazz bands was the language of the land. 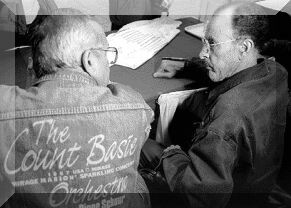 The Basie Band today is a treasury of the music produced over six decades. to you, this is the place. No hidden agenda. Just a celebration of America's original art form Jazz.Welcome.Please sign up! The Count Basie Ring is a navigational tool and is not responsible in any way for the content found on it's members' sites. Any issues regarding the content of any site should be taken up with the respective owner of the site in question.